There are just three pupils in Latvia’s smallest tenth grade class, Education and Science Ministry’s education department director Liga Buceniece said LETA. 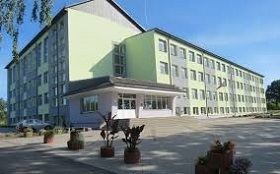 The smallest tenth grade class is in Skrunda Secondary School. Even though the Skrunda Secondary School overall has a sufficient number of pupils – 297 pupils in grades 1-9, there are just 29 pupils in secondary school grades – three in grade 10, 11 in grade 11 and 15 in grade 12. There are also three tenth grade pupils in the Valmiera Gaujas Krasta Secondary School with 162 pupils in total in grades 1-12. There are four tenth grade pupils in Aloja Ausekla Secondary School, Davis Ozolins Ape Secondary School, Kegums Commercial School, and five tenth grade pupils in Zasa Secondary School. As reported, this school year there are by 309 pupils less studying the general education program in grades 1-12 in Latvia than last year. The number of pupils this year has reached 215,109. However, there has been an increase in the number of children registered in Latvian pre-school education program - by 1,587 more than last year to 40,069 children.